For those who are waiting for govt Jobs in Andhra Pradesh State here is the good news for you all. AP Boilers recruitment 2018 notification has released by the government of Andhra Pradesh State for the upcoming year 2018. Interested candidates can apply for the position of AP Boiler Operation Engineer. This notification has been released by the government on their website and leading news Papers. So, engineers who are willing to do government job can use this opportunity to make their career success. Competitors can send their application by filling it in online before the last date. The Examination for this Boiler Operation Engineer will be conducted in Vijayawada city in 2018 the exact dates have to be further released by the government of Andhra Pradesh. People who are eager to apply for these jobs firstly should have the knowledge about Boiler Operations, and secondly, they must be very healthy to continue for the next rounds of selection to the vacancies. Bachelors/Degree/ Diploma holders have brilliant chance to apply for this vacancies. It will be a good chance for the Job seekers who are searching Jobs in this field for a long time in their career. Fascinated candidates can catch this opportunity to get settle down their career in this particular field. Applicants should be 23 years of age. Candidates who are eligible can apply for these posts through offline format by sending the filled application form to the given address before the last date. 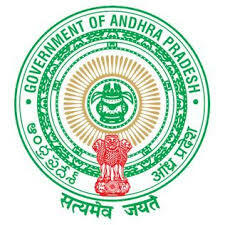 The last date to submit the offline application form will be soon announced by the state government of Andhra Pradesh. The job notification includes many details such as age limit, educational qualification, vacancy details, application fee, salary offered, selection process, etc. To get qualified all the contenders are preparing hard to clear the AP Boiler Operation Engineer Exam after clearing this exam only the candidates are allowed for the further rounds in the recruitment process. This whole process will be managed by the government of Andhra Pradesh State. Degree or Diploma in Mechanical or Electrical or Chemical or Power Plant or Production or Instrumentation Engineering or Instrumentation and Control Engineering from a recognized institution. Must have served for not less than 2 years in a case of Degree holders and 5 years in a case of Diploma holders. Aspirants who have attained the age of 23 years are eligible to apply for AP Boilers Department Exams. The age of the applied candidate will be considered. Eligible candidates can send their applications in prescribed format along with enclosers & 2 Nos. of self-addressed 10” x 5” size envelope with Rs.10/- postage stamp affixed on each so as to The Chairman, Board of Examiners and Director of Boilers, Andhra Pradesh, Amaravathi, Plot No.XIV-D5 & 6, D.No.54-10-19, 2nd Floor, Opp: New Telephone Exchange, Jawahar Autonagar, Vijayawada – 520 007, Krishna District so as to reach on or before 30.12.2016. Every application must be accompanied by a treasury original challan of Rs. 1500/- paid under the Head of Account “ 0230 – Labor and Employment: 103 – fee for Inspection of Steam Boiler; 01- Fee for Inspection of steam Boilers.” & under DDO code 2700- 1505-001 in any of the Treasuries in the Districts of Andhra Pradesh State. The challan should be in the name of the applicant only.